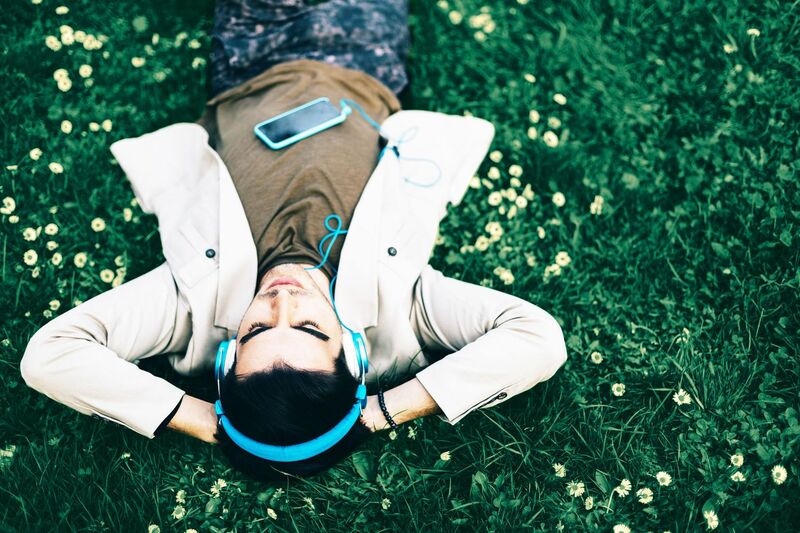 SYNC is a free summer audiobook program for teens. SYNC returns April 27, 2017. OneClickdigital Audiobooks – The State Library subscribes to a package of youth books with unlimited copies. Not all books can have an unlimited copies version, but there are over 1600 so far in both fiction and nonfiction. “Half a Chance” is on the William Allen White nominee list for this year. CGHS Library has a smaller number of audiobooks available, and you have access to them as well, but the registration process is slightly different, and you do not need a Kansas Library eCard. His reasoning reveals some fascinating insights about the way the brain makes sense of language, whether written or spoken. But first, consider what that assertion — that listening is cheating — is saying: It suggests that the listener got some reward without putting in the work. Because that does seem to be the typical argument, Willingham said. “It’s not that you’re missing out on something, or it’s not that this experience could be better for you,” he told Science of Us. “It’s that you’re cheating. And so they think you’re getting the rewarding part of it … and it’s the difficult part that you’ve somehow gotten out of.” So that implies, Willingham argues, that to your brain, listening is less “work” than reading. And that is true, sort of — but it stops being true somewhere around the fifth grade. There are two basic processes happening when you’re reading: There is decoding, or translating the strings of letters into words that mean something. And then there is language processing, or comprehension — that is, figuring out the syntax, the story, et cetera. (It’s obviously much more complicated than that; this is what’s known as the “simple view” of reading, but it’s sufficient for thinking about the question at hand.) Researchers have studied the question of comprehension for decades, and “what you find is very high correlations of reading comprehension and listening comprehension,” Willingham said. As science writer Olga Khazan noted in 2011, a “1985 study found listening comprehension correlated strongly with reading comprehension — suggesting that those who read books well would listen to them well. In a 1977 study, college students who listened to a short story were able to summarize it with equal accuracy as those who read it.” Listeners and readers retain about equal understanding of the passages they’ve consumed, in other words. Decoding, by contrast, is specific to reading, Willingham said; this is indeed one more step your mind has to take when reading a print book as compared to listening to the audiobook version. But by about late elementary school, decoding becomes so second-nature that it isn’t any additional “work” for your brain. It happens automatically. According to the simple model of reading, then, you really can’t consider listening to a book to be easier than reading it. But there are other differences here, of course, one being that it’s really easy for your mind to begin to wander when you’re listening to an audiobook. But is that more or less likely to happen as skimming the less interesting parts when you’re reading? There’s not exactly an easy way to test that question empirically, but there are some comparable things about the way people circle back to catch the stuff they missed, whether they’re reading or listening. “About 10 to 20 percent of the eye movements you make are actually regressions, where your eyes are moving backwards,” Willingham explained. Many of those regressions happen when you thought you had the word, but — whoops, no, you didn’t quite get it; others happen when you might be trying to work out syntax. And something similar happens with the brain’s auditory system, specifically a phenomenon called echoic memory. “I’m sure you’ve had the experience where someone says something, and you’re not really listening, and then you can tell from their intonation that they’ve stopped talking and that they’ve asked you a question,” Willingham said. “And you’re like, ‘. . . I totally was not listening to this person.’ And then you say, ‘I’m sorry, what?’ And then in that moment where you say, ‘I’m sorry, what?’ — you’re able to recover what it was they asked you.” You did not listen. And yet you still heard, and there is a wisp of a memory of that, which is still banging around inside your mind. “And you are, in the time it takes you to say, ‘I’m sorry, what?’ — you are consulting that little memory store, and you get the last second or two of what they said,” he continued. So that, he argues, is comparable to the visual system’s eye regressions: In both mental processes, your mind ticks back to what it just consumed, in order to double check the meaning.
. . . as far as the mental processes are concerned, there really isn’t much difference between reading and listening to a book. One is not more work than the other. And yet there is, maybe, something to the way your elementary-school teacher might’ve phrased the question — you’re only cheating yourself. Returning for a moment to the simple model of reading: The decoding process does become automatic once you’ve passed a certain level of reading proficiency, but you can become even better at this well into adulthood — and the only way to get better is by reading. The improvements are small (“infinitesimal,” as Willingham put it) but they are there, and up for the grabs for a reader. Comprehension, too, is something that improves the more you read. And there are also, of course, times when you need to remind yourself of something farther back in the text, something that is no longer held in that one- to two-second echoic memory. (Which Greyjoy is Victarion, again?) You could pause the audiobook and hit that 15-second rewind button until you find it. But you probably won’t. There’s also this question to contend with: Are you consuming the text the way the author intended it? (And how much does that matter?) The reader of Willingham’s own audiobook did a wonderful job, for example, but there were jokes stepped on, punch lines that didn’t quite land the way Willingham . . . intended. “The idea that you are experiencing the novel in a way the author did not intend, that you’re missing out in some way — I’m much more open to that than ‘You listened to it, you big cheater,’” Willingham said. This, to his mind, is nonsense, a holdover from elementary-school days. “You know, there are classrooms that are set up with that very much in mind,” he said. “There’s a reader wall and you get a star next to your name every time you finish a book, and the number of books is counted. And I think some of that feeling in adults may be … a hangover from prior school experiences.” It’s a rather sad way to view reading as an adult, he contends, and he has a point. Visit Your Public Library and Read (or Listen) for Free! Just a few pages a day can make a big difference. This is your chance to read something you choose and will enjoy. If you need a few ideas, check out TeenReads Ultimate Reading List for 2016 or browse the catalog of your local library. What Are the Benefits of Summer Reading? Besides being fun to listen to, audiobooks have a positive impact on reading skills. The recent Tales2go research study showed that if you spend 20 minutes a day, five days a week listening to audiobooks, you gain "58 percent of the annual expected gain in reading achievement in just 10 weeks, putting [listeners] three months ahead of control students." The high school audiobooks are available to you over the summer. The directions for setting it up the first time are here. Email me for the library access code. CGHS Library also has ebooks available, and the instructions for setting your access on a smartphone or reader for the first time are here. If you run into trouble, let me know. Also, remember that your nearest public library has a wealth of books to read and listen to.